Fully compliant in all aspects of vehicle body and accident repairs. We pride ourselves with our customer care and service we supply to our clients. View the testimonials for previous clients who have used Eastend Coachworks over the last few years. Fully compliant in all aspects of vehicle body and accident repairs. Staffed by ATA accredited technicians. Approved and audited by BSI. All repairs carried out in accordance with manufacturers methods. 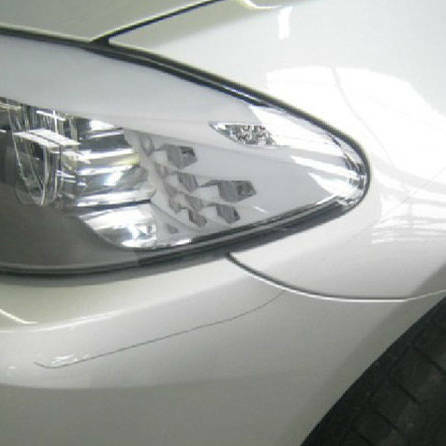 We cater for all types of accident repairs from bumper scratches to major impacts. We also offer a smart repair facility for minor dings and scrapes and use only manufacturer approved paints and materials. 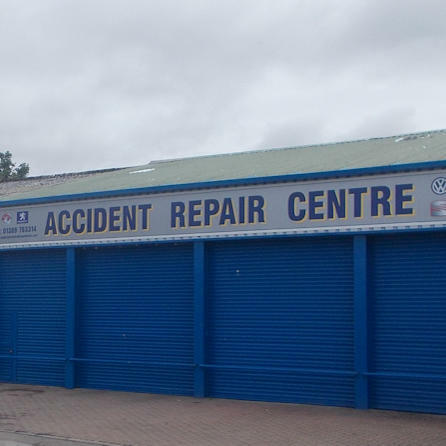 We are a vehicle repair service in Broadmeadow Industrial Estate, Dumbarton. The services we offer are listed below. But if there is a service that is not listed below in the car repair category, please give us a call to see if we can help you with your problem. 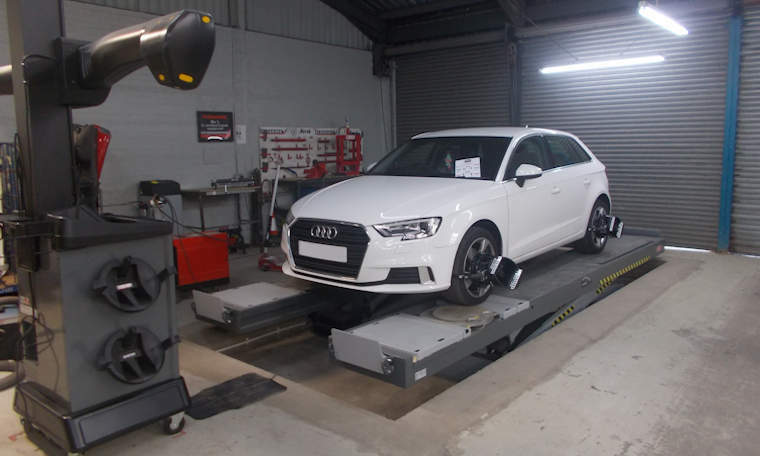 Hunter 570 Wheel Aligner is our state of the art system for steering and geometry alignment and is the ultimate in its accuracy of measuring all steering and suspension components. We offer a quick turnaround service to cater for minor dents and scuffs. Talk to one of our staff about this service which if possible can assist the vehicle user if they want the repair time kept to a minimum. Paintless Dent Removal is another service we offer for quick turnaround time and can be offered to take care of the removal of minor dents that will not require repainting. All our technicians are trained to deal with modern vehicle repairs whether aluminium, mild steel, or high strength steels, and are coded for welding to be standard to incorporate mig welding, mig brazing, spot welding. Where you require the cosmetic repair of plastic or aluminium vehicle components we have the latest equipment and staff to deal with these. We see so many vehicles which have had this type of repair done by none qualified people. 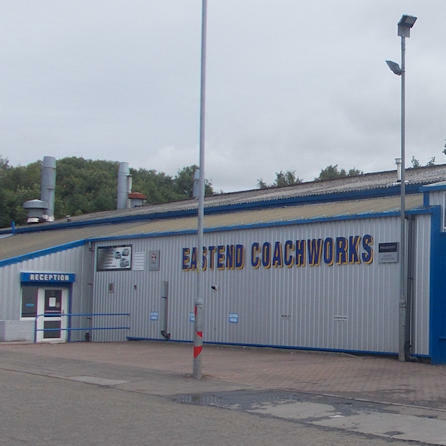 Eastend Coachworks have a vacancy for a time served spray painter, good hourly rate. 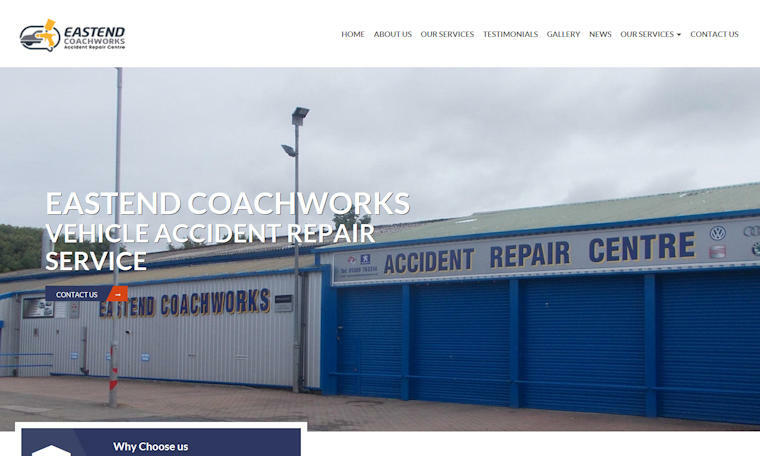 Welcome to the new website for Eastend Coachworks in Dumbarton. Over the last few months we have developed this website to bring it up to the standard required to match our vehicle repair service we offer. 01-08-17 - First class repairs, very friendly and efficient staff. They have done many jobs for us and all are faultless. If you are looking for a top class repair these are the boys. 22-11-17 - Really good company to deal with took care of everything in a professional manner, my wife's car was repaired and returned to her without any hassle and a first class job .A big thank you from Amanda and I. 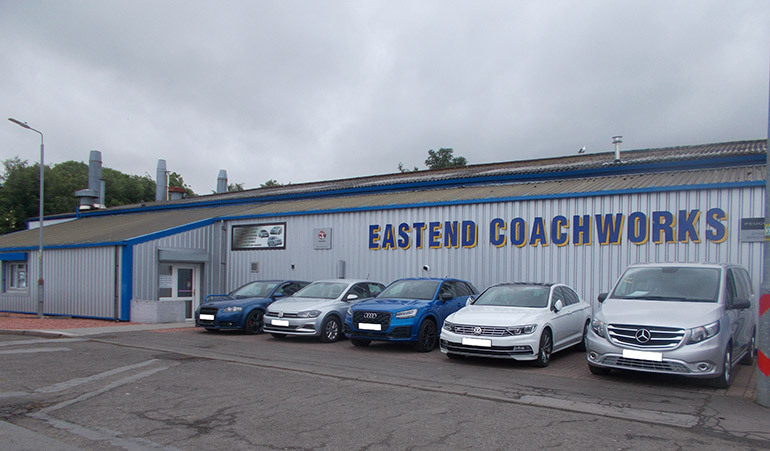 13-02-18 - After unfortunately having a collision with my vehicle Eastend Coachworks provided a first class service from start to finish very courteous and helpful staff. There was a delay in a part for my vehicle and had to wait a lot longer than I thought for my repair to be completed but have to say when the part did arrive the speed of service was second to none. I have my car back looking like new. Grateful thanks to these guys for their professional workmanship. 16-08-17 - I recently was unfortunate enough to have damaged my Audi A3 and my insurer initially directed me to their own repairer. But after talking to some friends, I was recommended to Eastend Coachworks and subsequently chose them although I came up against some opposition from my insurers. I am glad I listened to my friends as the repair quality was excellent, I admit I am obsessed with my car, but I could not fault them, thank you for the excellent service. Joe Ferry. 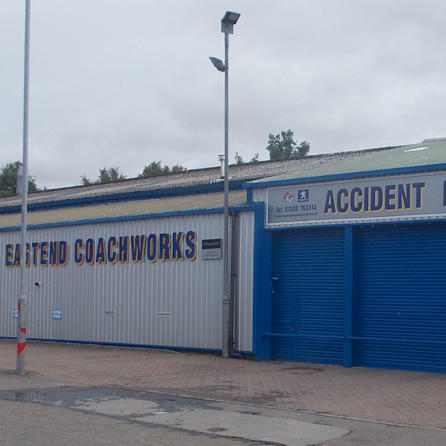 At Eastend Coachworks Ltd we can repair any vehicle after an accident wheither it has been brought to us by your insurnace company or you have had a accident and want it sorted privately. Below are just four types of vehicles that are skilled technicians can repair in our car body shop. We fix LCV repairs from any models at our workshop in Dumbarton. Whether it's direct from a work's company or a privately own van, we offer free estimate for all work. Eastend Coachworks can repair any car model that needs a repair after an accident and we will provide a free estimate. This includes insurance jobs and private car owners. Luxury cars and sports cars can all be repaired including Paintless Dent Removal and Complete Repaints. 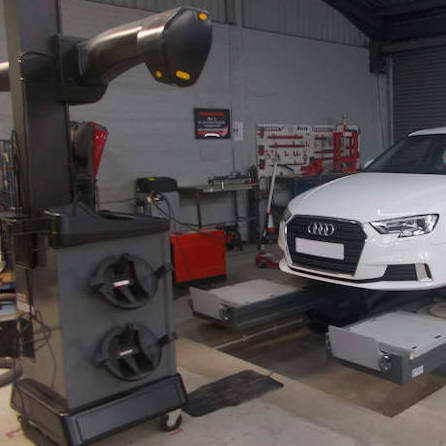 We also have a Computerised Full 4 Wheel and Steering Alignment service.